Click a course to learn more. The material covered in this course includes First Aid/CPR, magnetic compass, rules of the road, seamanship, aids to navigation, achoring/mooring, towing, firefighting, pollution prevention, radiotelephone, general knowledge and survival craft/vessel abandonment. Upon successful completion of the course and comprehensive examination, a certificate will be issued to the student. The certificate, along with the supporting documentation, will be submitted to the U.S. Coast Guard for issuance of the respective merchant mariner credential. This course covers stability, firefighting, survival, drilling terminology, regulations and personnel management. Upon successful course completion as well as comprehensive examination, a certificate will be issued to the student. The certificate, along with supporting documentation, will be submitted to the U.S. Coast Guard for issuance of the respective merchant mariner credential. This five-day U.S. Coast Guard approved course is designed to meet the specific regulatory requirement for obtaining the Offshore Installation Manager, Barge Supervisor and Ballast Control Operator merchant mariner credential. The Stability and Ballast Control for Mobile Offshore Drilling Units Course will introduce the student to stability theory, the effect of weight on stability and trim, appropriate mathematical calculations, load form usage, ballast control procedures for trim and list and using information provided in the rig's operations manual for safe operation of the mobile offshore drilling unit. 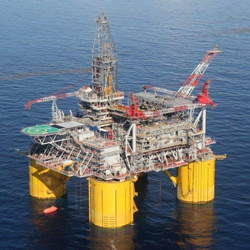 "Worst case scenarios" concerning actual offshore disasters are used in conjunction with damage stability and survival mode preparations to illustrate proper procedures in emergency situations. 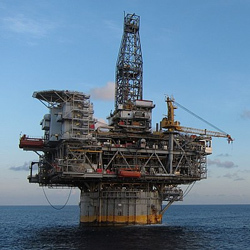 Upon successful completion of the course, students will be able to demonstrate how the addition, discharge, or shift of weight affects the overall stability of the rig. The student will also demonstrate proficiency in calculation of load forms by finding new center of gravity (KG, LCG, and TCG) locations, vertical, longitudinal, and transverse moments, free surface corrections, corrected KG, maximum allowable KG, new displacement and new draft after the addition or discharge of weight. Operation Manuals (for a semi-submersible and a jack-up drilling rig) introduce the student to unique stability requirements for various types of rigs. For example, understanding the mooring system and how its anchors and mooring tensions affect the rig's load form calculations is important to understanding the overall stability of a semi. The calculation of leg reactions and understanding of preloading operations stresses the importance of proper weight distribution of a ck up drilling rig. Our staff of instructors combine years of teaching with practical experience and includes U.S. Coast Guard licensed Offshore Installation Managers and Barge Supervisors. Anyone pursuing a mobile offshore drilling unit license and wishing to satisfy the stability requirement, persons who wish to take a "refresher" Stability Course or anyone who has a personal desire to learn something about stability is welcome to attend our course. Martin lnternational's Stability and Ballast Control for Mobile Offshore Drilling Units Course has something for everyone. This five-day U.S. Coast Guard approved course is designed to meet the specific regulatory requirement for obtaining Offshore Installation Manager, Barge Supervisor and Ballast Control Operator licenses restricted to Tension Leg Platform (TLP) merchant mariner credentials. The Surface Units and Active Units (TLP) Stability Course will introduce the student to stability theory, the effect of weight on stability and trim, appropriate mathematical calcula­tions, load form usage, ballast control procedures for trim and list and use of information provided in the rig's operations manual for safe operation of the unit. 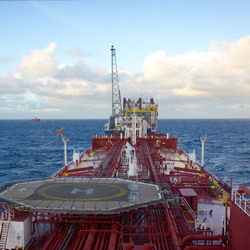 “Worst case scenarios” concerning an actual offshore disaster are used in conjunction with damage stability and survival mode preparations to illustrate proper procedures in emergency situations. 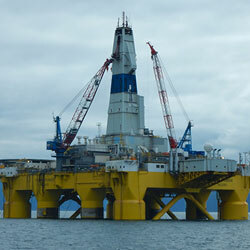 An Operations Manual for a semi-submersible drilling rig introduces the student to unique stability requirements for the rig. For example, understanding the mooring system and how its anchors and mooring tensions affect the rig's load form calculations is important to understanding the overall stability of a semi. The Surface Units and Active Units (TLP) Stability Course covers the fundamentals needed to develop a basic understand­ing of Active Unit principles (determine the proper tendon tension, operating mode, platform location and environmental condition). This is followed by a method to determine the effect of a loading change (added, discharged or transferred weights) on the tension of each tendon and how ballast or other loads may be adjusted so that the actual tendon tension agree with the proper values. 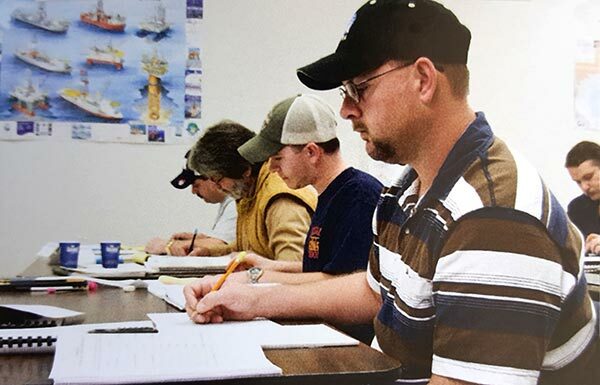 Our staff of instructors combine years of teaching with practical experience and includes U.S. Coast Guard licensed Offshore Installation Managers and Barge Supervisors. Anyone pursuing an Active Ballast license and wishing to satisfy the stability requirement, persons who wish to take a "refresher" Stability Course or anyone who has a personal desire to learn something about stability is welcome to attend our course. 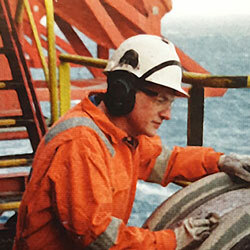 Martin lnternational's Surface Units and Active Units (TLP) Stability Course has something for everyone. This five day U.S. Coast Guard approved course is designed to meet the specific regulatory requirement for obtaining Offshore Installation Manager, Barge Supervisor and Ballast Control Operator licenses restricted to SPAR and Mini-TLP merchant mariner credentials. The Surface Units and Passive Units (SPAR and Mini-TLP) Stability Course will introduce the student to stability theory, the effect of weight on stability and trim, appropriate mathematical calculations, load form usage, ballast control proce­dures for trim and list and using information provided in the rig's operations manual for safe operation of the unit. 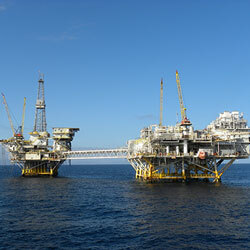 A "worst case scenario" concerning an actual offshore disaster is used in conjunction with damage stability and survival mode preparations to illustrate proper procedures in emergency situations. Upon successful completion of the course, students will be able to demonstrate how the addition, discharge, or shift of weight affects the overall stability of the rig. The student will also demon­strate proficiency in calculation of load forms by finding new center of gravity (KG, LCG, and TCG) locations, vertical, longitudinal, and transverse moments, free surface corrections, corrected KG, maximum allowable KG, new displacement and new draft after the addition or discharge of weight. Our staff of instructors combine years of teaching with practical experience and includes U. S. Coast Guard licensed Offshore Installation Managers and Barge Supervisors. Anyone pursuing a Passive Ballast license and wishing to satisfy the stability requirement, persons who wish to take a "refresher" Stability Course or anyone who has a personal desire to learn something about stability is welcome to attend our course. Martin lnternational's Surface Units and Passive Units (SPAR and Mini-TLP) Stability Course has something for everyone. Please call for scheduling. If you have five or more students, we will be glad to schedule a class at your convenience. 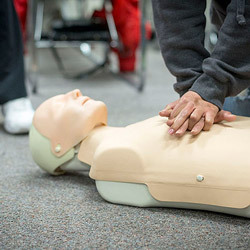 Medic First Aid/BasicPlus CPR, AED 8.0, is the newest edition of our adult CPR, AED, and first aid training program. BasicPlus includes training in the use of Automated External Defibrillators (AED's). This program helps business, industry and government agency employees meet requirements for training employees in responding to and caring for medical emergencies at work.